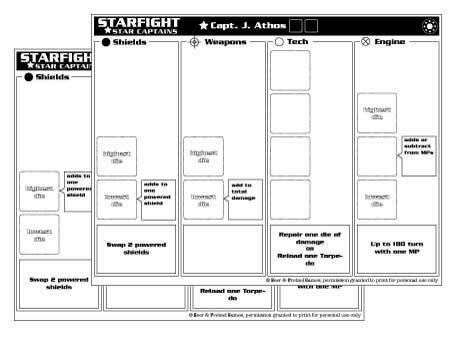 The STAR CAPTAINS expansion set for the popular STARFIGHT© game is not a game itself, you need at least the STARFIGHT base rules in order to play this expansion. This is not an advanced game, however, these rules will make the game last longer and add a bit of complexity to the whole mechanism. With this expansion, your ships will now have a captain and a crew! Some rules have been modified to work best with this expansion, however you can incorporate these modifications in your game even if you do not use the STAR CAPTAINS expansion.